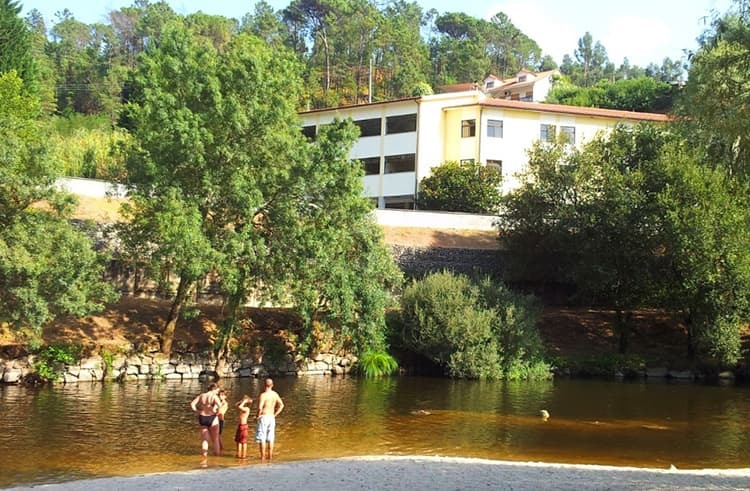 The best way to relax and get away from the daily routine is to spend a few days at some hot springs and in central Portugal, we have some great places to choose from. Due to its geological characteristics, the central region of Portugal is replete with thermal springs. Clear waters, born at elevated temperatures in the bowels of the earth have a rich chemical and mineralogical composition which are also incredibly beneficial for the treatment for various diseases. If we add on good premises and equipment, special treatment methods and highly qualified personnel to what is given to us by nature, then these sources are a great place to spend a few days, regain your health, improve your well-being and relax. Where are the thermal baths in Portugal? Discover where the most unique thermal baths are located and what you can find there. At the Termas de Luso thermal spring, which was founded in 1852 in Luso, they offer all the services of modern thermal stations. Surrounded on all sides by lush vegetation and the mountain, Serra do Buçaco, the resort includes classical thermal springs, a spa-centre with beauty treatments and of course, the famous mineral water which is located inside the centre. They also have a specialised medical centre for the treatment of heart disease and support physical health. In closest proximity, just 15 km (9 miles) away, is Curia Park which also occupies an area of ​​about 14 hectares. In addition to the thermal complex and the pump room, there are a variety of playgrounds and recreation areas: a park with a large artificial lake where you can ride a water bike, a tennis field and a golf course and a set of outdoor sports equipment that helps to stay fit. For contact details, visit the Termas de Luso website here. 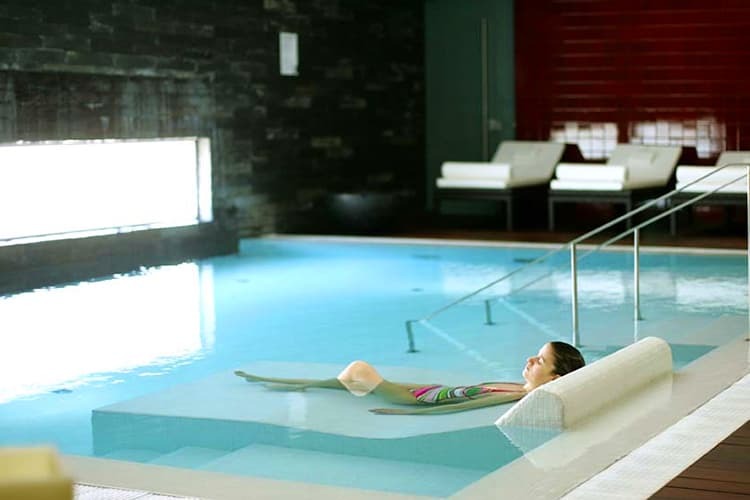 Termas da Curia is one of the most favourite spas among Portuguese. In the heart of the Bairráda district, which is incomparable in its beauty and human potential, is one of the most popular thermal spas in the country – Termas da Curia. The resort is located in Parque da Curia and is surrounded by lush vegetation with a lake nearby. Curia is not only exceptional conditions for recreation, it is also one of the peaks of the famous tourist triangle: Curia – Luzu – Busaca. The most important ethnographic, folklore, artistic and monumental sights of the country are concentrated in this triangle. Valuable archaeological finds in Monte Real from the period from 1807 to 1810 indicate that the thermal springs of Monte Real were widely known during Roman times. Among the ancient items that were found from that time were real Roman coins, which are now stored in the National Archaeological Museum. The exact date of the founding of the village of Monte Real is unknown. However, some documents refer to the time of King Dinis (14th century). A pine forest was planted around the village and a royal palace was built under the orders of King Dinis, who was nicknamed “the Farmer”. Located in the centre of a very interesting and diverse region, the main attractions of which are the cities of Leiria and Alcobaça, the thermal resort of Monte Real is today one of the most popular resorts in Portugal. Its thermal waters originate from the depths of a dense forest area of ​​24 hectares. At the Termas de Monte Real Resort and Spa (website is in Portuguese) you can relax and enjoy a range of therapies, treatments and complete tranquility. Termas de Monfortinhos (website is in Portuguese) is another luxury thermal bath to visit. The existence of some Luso-Roman settlements suggests that people used the sources of Monfortinho during the time of Roman colonisation, although reliable information about their use only began to appear in the 17th century. This resort gained popularity in the 20th century after construction work was carried out here and the appropriate equipment was installed. Today, it is one of the most popular thermal spas in the country. The thermal resort of Termas de Monforte is located in Beira-Baixa on a plateau, sheltered from the winds, so there is a wonderful microclimate here. Nearby is Idanha-a-Velha – the ancient city with the rarest evidence of the history and culture of Portugal. At the Termas de Monfortinhos is a complementarity of specially selected procedures that have a beneficial effect on the physical and mental state. I think this is the best argument in order to visit the thermal resort of Termas de Monfortinho. Termas de Alcafache (website is in Portuguese) should definitely be one thermal bath in Portugal on your list. 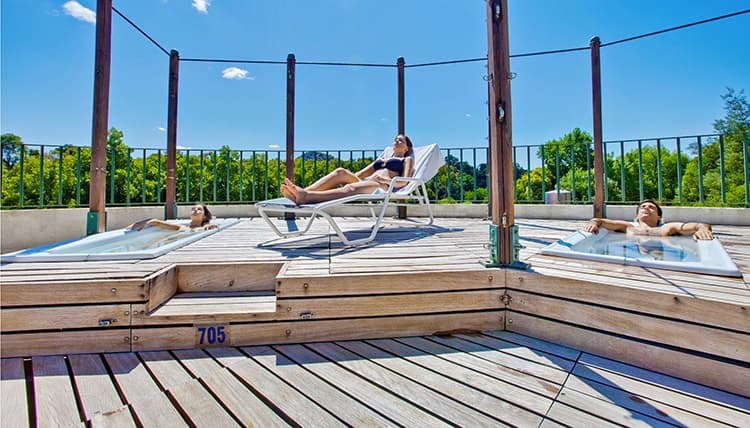 The thermal resort of Termas de Alcafache is located in Beira-Alta, in the quiet, tranquil bucolic valley of the Dan River, 9 km (6 miles) from the city of Viseu. It is surrounded by vineyards, pine trees and apple orchards that fill the air with wonderful aromas. Some thermal springs erupt out of the crevices of granite rocks in the river bed. Termas de Alcafache is a small piece of paradise, which is safely sheltered from the pollution and stress of big cities. On an area of ​​20,000 square metres. You can perfectly relax your body and soul and restore your strength in the serene shade of a huge pine forest. In addition to the procedures in Termas de Alcafache, with the assistance of the tourist region Dan Lafont, a number of cultural events are held with the participation of folklore groups, as well as jazz, pop, Brazilian and other music concerts. Termas do Carvalhal is small thermal bath resort, which, according to experts, is a “curious hydrological phenomenon”. It is located between Castro Daire and Viseu in the valley of the Paiva River in a quiet and peaceful place with a blessed climate. The proximity to the cities of Viseu and Lamego, the valley of the Voga River and the mountains of Caramulus, allows you to take interesting walks through these beautiful and diverse places in nature and landscape. Termas de Manteigas is for those who love high quality comfort. 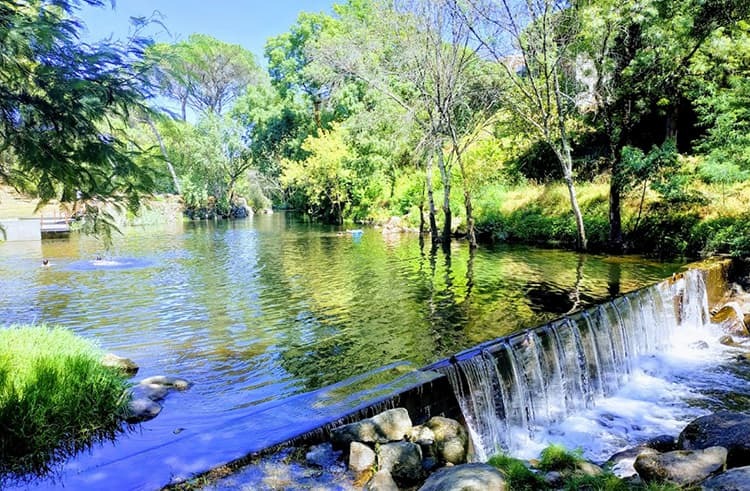 In the heart of the Serra da Estrela mountain range, covered with myths and legends associated with the struggle against the Romans in the first years of the history of Portugal, are the thermal springs of Caldas de Manteigas. The thermal resort of Termas de Manteigas , which is becoming increasingly popular among tourists in recent times, is located next to the town of Manteigas in the Valley of Zezere in the most picturesque area of Portugal’s largest mountain range. Termas de Sangemil is surrounded by vineyards and apple orchards in the village of Sangemil. As well as in Alcafache, some natural springs erupt out of the crevices of granite rocks in the bed of the Dan River. Watsu Technique (a kind of acupressure massage technique). I hope you get the chance to try at least of these thermal baths in Portugal and I would love to hear what you think of them. Let us know in the comments below if you have been to any of these thermal baths in Portugal. A Ukrainian expat living in Portugal and bringing up passion to the writer's field by exploring, learning and renovating the lever of knowledge. A community lover with futuristic thinking and business adeptness. A true fashion and style enthusiast communicating with future tech.